“BOOKS ONLY” Sale! June 19th! $2 per bag! The shed is filled with books left over from Market Day in May. 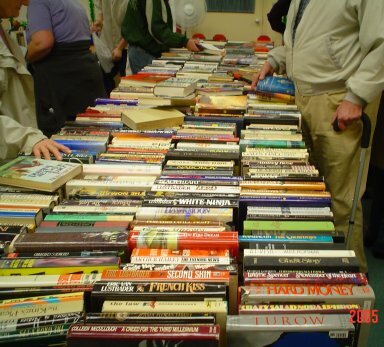 To make room for new donations for the fall Market Day, we are holding a “Books Only” sale on the lawn of the library on Saturday, June 19th, from 10am to 2 pm (canceled if raining). Books will be $2 per bag (grocery-store plastic). Or, if you would like to buy a new, bright green, reusable Poestenkill Library bag for $3.50, you can fill it with books for free – and they are large bags! Stop by and fill a bag with books for summer reading. We hope to see you on Saturday, June 19th!